Charley Baker, Coleton DiMezza and Gianna Wedwaldt were awarded best speaker awards by their peers. Daniel exhibits exceptional performance and potential in the areas of academics, athletics, community service, good citizenship, and leadership. Saint John Vianney High School will be hosting a parents only, High School Information Night. Come enjoy an evening of wine and cheese while learning what SJVHS has to offer. This information night will provide parents with students in the 5th, 6th, and 7th grades an opportunity to learn more about SJV. You will have the opportunity to meet and speak with our administrators. We hope to see you on May 8th! In September of 2014, Saint John Vianney High School welcomed its inaugural class of Early College Academy students. 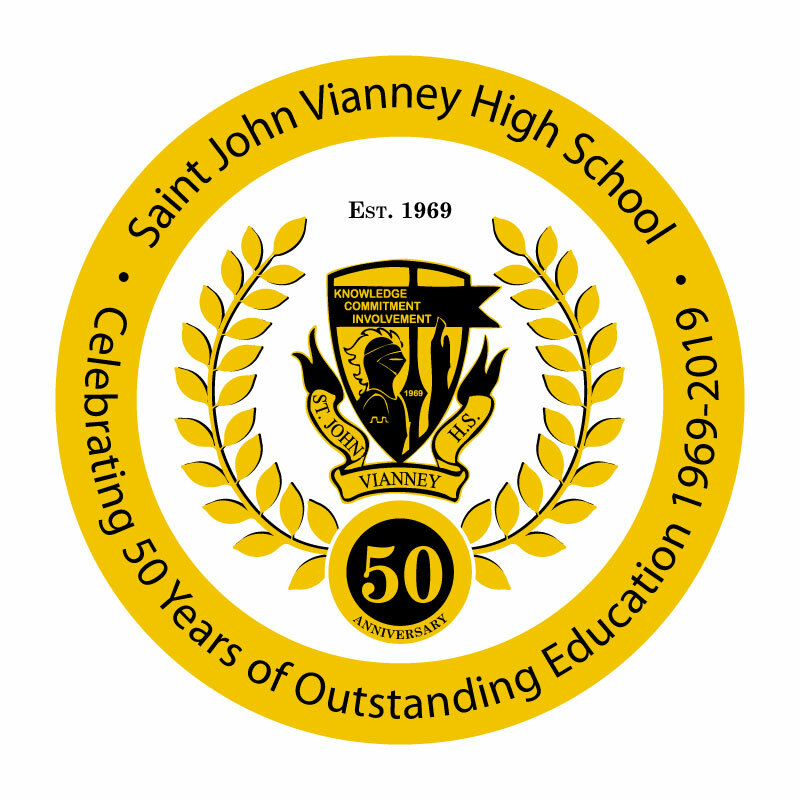 SJVHS’s Early College Academy provides the opportunity for select students to earn an Associate of Arts degree in Social Sciences or an Associate of Science degree in Computer Science from Brookdale Community College at the same time they earn a high school diploma from Saint John Vianney High School.